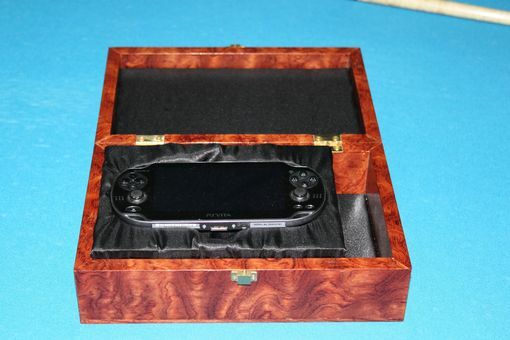 This is a veneered box that I made to hold a Play Station Vita. 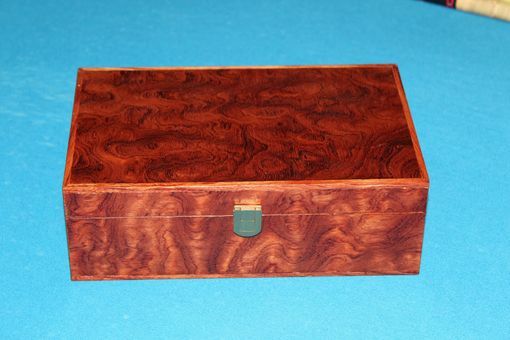 The box is veneered with Waterfall Bubinga with solid bubinga inlay along the edges. 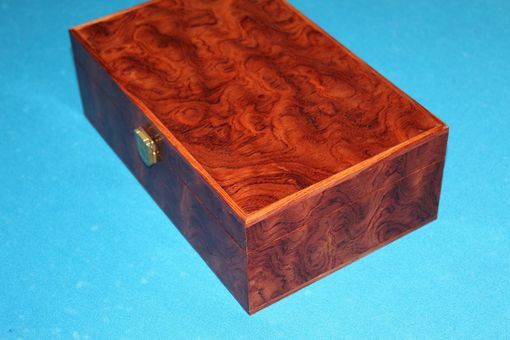 The box has solid bubinga rails on the inside that supports the french fitted tray for the play station. There is storage underneath for cords and games. 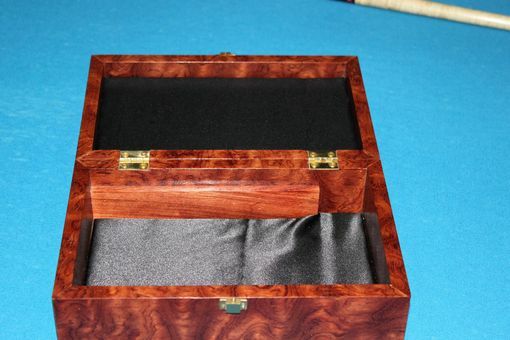 The box is lined with black felt. The box is finished with shellac rubbed to a satin sheen and polished with wax for final protection. 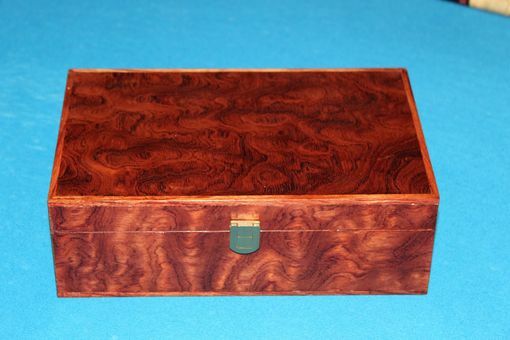 This box is the perfect example of how we are able to take a general idea (making a playstation case) and take it to a creative level not normally seen.